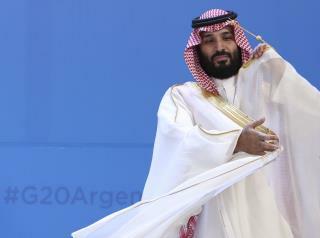 (Newser) – Two new reports suggest more trouble for Saudi's crown prince. The New York Times is out with a front-page story alleging a brutal campaign authorized by Crown Prince Mohammed bin Salman to abduct and torture dissidents that began more than a year before the killing of journalist Jamal Khashoggi. The Guardian, meanwhile, reports that the crown prince appears to have lost some authority, at least temporarily, on the orders of his ailing father, King Salman. The king is apparently worried about a big drop in investments coming in to Saudi Arabia after it was revealed that a special Saudi security team murdered Khashoggi. The kingdom has denied allegations that the crown prince personally ordered the journalist's killing, but the new Times piece will only add to the speculation about him. He is next in line. No matter how little power he loses while his father still breathes.. He made himself known clearly to all... "When I become King, This is how MY SA will work". Not sure how many people realize what "Saudi Arabia" means in Arabic or to the Arab Bedouins in general... It means the world GAVE the family house of Saud the lands of Arabia & THEY OWN THEM & all that the land posses (From people & animals to the minerals & waters). For that, we nor they will ever have peace. The Jews in NYC should mind their own business. we have been catering to them for years, and i'm afraid that there is so much which we don't know about due to it is linked to entities owned by saudis' which live outside of saudi arabia. when you have family still residing there, and you are approached to do something for the royal family. you don't really have much choice, like the story relates, they will find you and bring you back if need be.